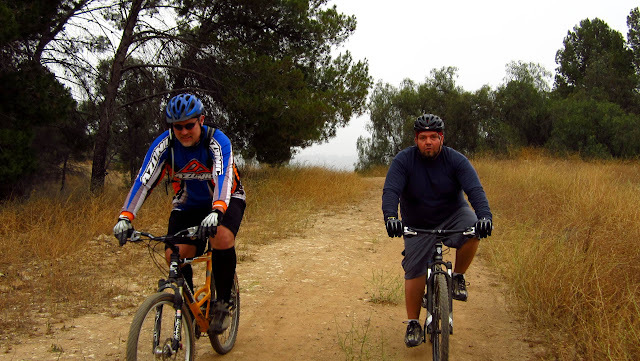 It was an early morning ride to Bonelli Park with Jimmy and Kevin. From Jimmy's house we headed to the East entrance of Bonelli Park and quickly dropped into a fire road that took us thru the south side of the park. Jimmy and Kevin both did great. 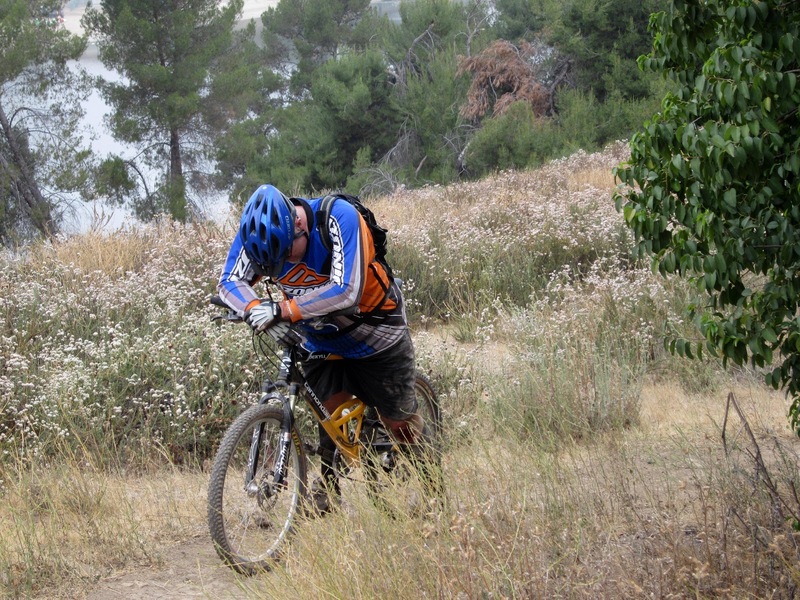 It was Jimmy's second time on dirt so we did some technical single track from the Knobby Time Series. I think this was a bit too soon for Jimmy but overall he handled the trails well. 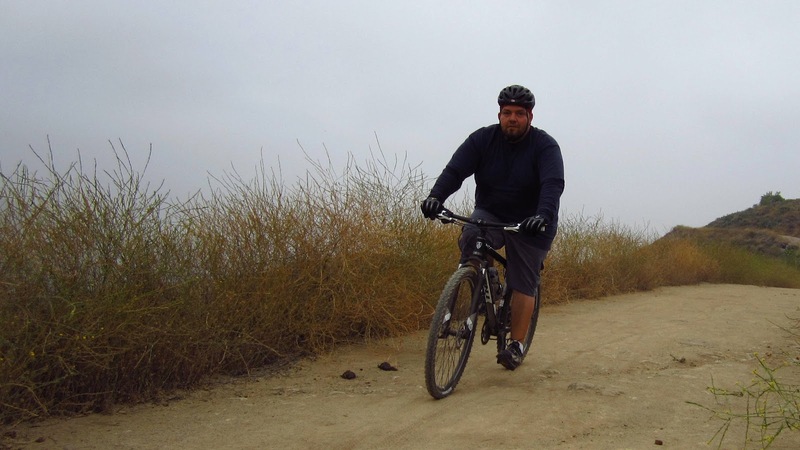 Kevin has been off the dirt for many months, so getting back on his mountain bike was awkward. He had a small crash on a fire road that parallels Via Verde. He is going to be sore tomorrow! We road a good mix of Road and Dirt. This was Jimmy's fourth time out riding so I wanted to give him a survey of Bonelli Park. Despite handling the mountain fine, he wasn't too keen on the single track. The single track was quite technical and it will be a few more rides before Jimmy will feel confident enough to bomb down it. Kevin is getting stronger, I can tell. Training on GMR has proven successful! 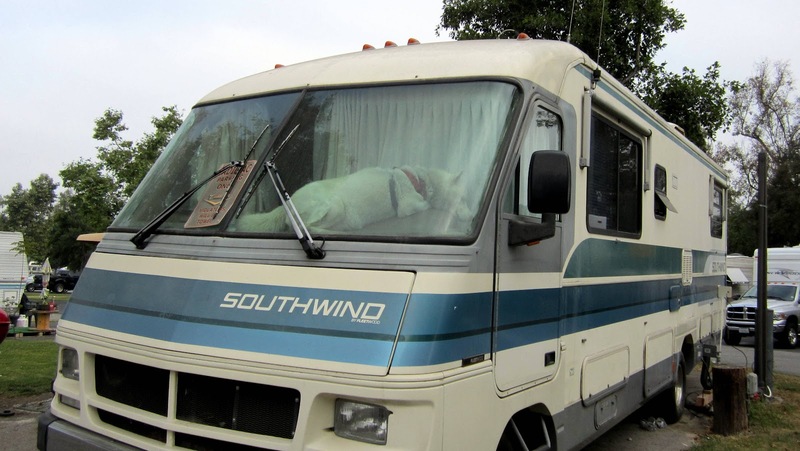 Below is a picture of a large dog sleeping in the dash of this motor home. It was pretty funny seeing this giant fluff ball on the dash. This dog thinks it's a chihuahua. 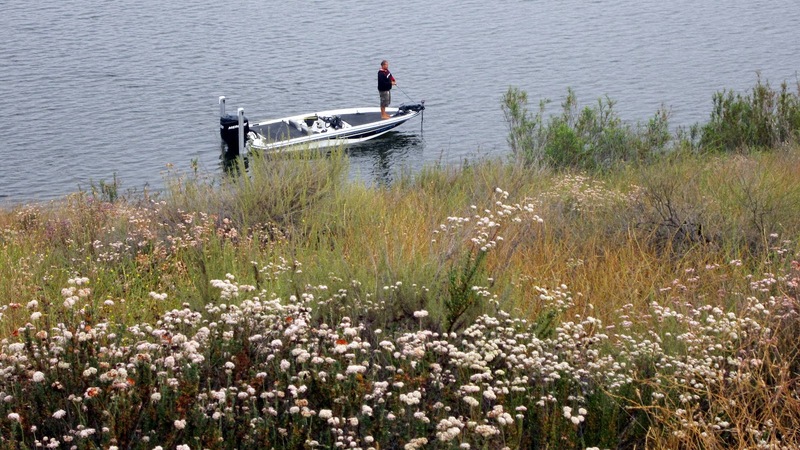 Bonelli Park was peaceful at 7 am.I enjoyed riding up and around the lake. 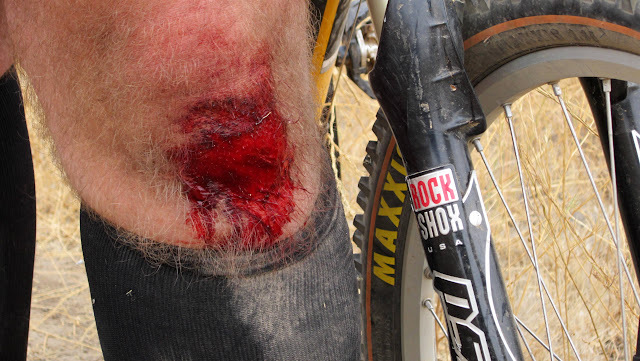 Battle Wounds - Kevin hasn't been on an MTB for a number of months and it showed (LOL). Taking a breather. Kevin rests a bit before some more climbing. Jimmy's got power. He kept a good pace and hung with us the whole time. Either this guy doesn't break or he hides his emotions well. Never once did he suggested cutting the ride short. Okay Fall's Road to the Notch is our next ride.